Something must be going on, as I now own 3 lenses for my dSLR, whereas up until six months ago, I only had the one which came with it. 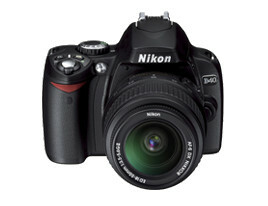 To recap, towards the end of 2006 I bought a Nikon D40, with it’s stock 18-55mm kit lens. I actually bought it a month or so after our first child was born as I’d been playing with a friend’s D40 and frankly, the difference in photo ‘quality’ between that and the Ixy point and shoot camera I had at the time was amazing, and so I talked myself into buying my first digital SLR camera. Since then, I must have taken thousands of photos with it, and never had a problem, whilst getting some truly memorable images, even with my poor grasp of photography. During that time, I think I’ve gone through three point and shoots by comparison. 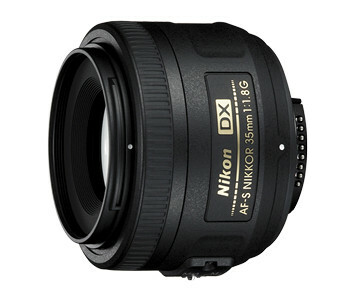 However, despite one of the main advantages of dSLRs being the ability to change lenses, I’d never bought another lens. I’m actually hardly unique in that, as the vast majority of entry level SLR buyers never buy anything beyond that kit lens. That all changed earlier this year when I found a couple of situations where I really wanted a bit more ‘zoom’ to get some photos of the kids, and the 18-55mm just wasn’t quite getting it (to be fair, it’s hardly a real zoom lens) so I spoke to some friends who really know about this, and read some well known blogs on the matter, and consulted the amazing dpreview.com site. In March, I bought the 55-200mm VR lens from Nikon/Nikkor, and was impressed at the zoom and the great images it gives, which meant I could get pictures of the kids without them being distracted by the camera being so close, and them ‘posing’, which is not what you want sometimes. It’s also allowed me to get photos of the quirky local buildings and landscape features I wanted to take pictures of, which usually gets comments like ‘Why do we have a picture of a rusty pipe?’ now and then from the family. 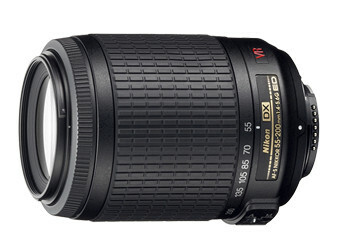 The ‘VR’ part of the name is ‘Vibration Reduction’ which is Nikon’s take on image stabilization and often they achieve this in-lens, rather than in the body. VR is now available on the 18-55mm kit lens now I think, and it really helps image quality on a zoom like this, reducing the need for a tripod in some situations.Note that with these AF-S lenses, their focussing motors are also in the lens, as the D40 body does not have one built-in. 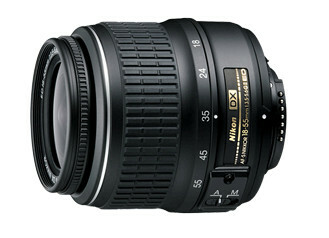 After quite a bit of reading (and saving), last week I chose a 35mm lens, again from Nikon – the 35mm f/1.8, essentially over the 50mm, partly on cost, but also on reviews of the lenses themselves, including photo blogger Ken Rockwell seeming to prefer the 35mm, putting it into his lens Dream Team, Steve Huff also liking it, and website Gizmodo having it as a top combination. It’s worth remembering that due to the way the DX works, a 35mm lens is the equivalent of a 53mm lens in ‘film’ photography parlance apparently. So now I have my 55-200mm and my 35mm lenses in my camera bag, and after 5 months with the extra zoom, I’ve gotten shots I couldn’t have before, so I’m really pleased with it. I’m still learning how to use the 35mm properly, but already I see why Steve Huff says this lens will help make you a better photographer – it really makes you want to move and get the picture you want. Although this is all at the bottom end of what can easily become a very expensive hobby, I’ve always been impressed at the quality of the photos my D40 gives me, and impressed at how even though I thought the kit lens was great, these two new lenses get even better images, and because of the way the camera designs work, in the future I could buy a newer DX based Nikon like the D3200 – with yet more pixels (6MP on my D40 compared to 24MP on that) and HD video, and still use these same lenses with it. Although this level of SLR is now being challenged by newer mirrorless cameras, I’m fine to invest a little still in this well built kit, whilst remembering that the best camera, is always the one you have with you.